Question for you all, If you do or if you are planning on hog hunting at night do you call and let the police or wardens know that you will be hunting ? 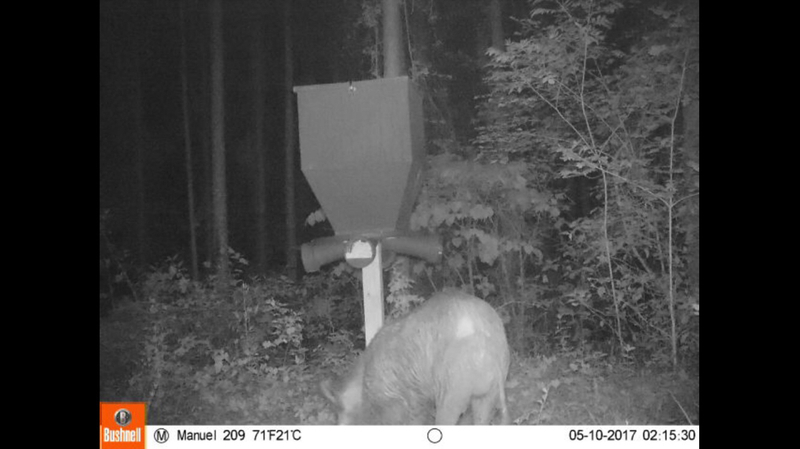 I bring this up because we are talking at work right now about this and a friend had a neighbor call the police and game warden on him a couple weeks ago when he was hog hunting on his private land. They both showed up and the warden told him he should call one of them to give them a heads up so they wont respond to "night time shot fired". I have never called them when I hog hunted at night before but now that its brought to my attention its something for me to think about. Don't want to get hassled or harassed when I'm doing everything legal but I do know they have a job to do as well. We never have, but frequently we are using dogs when hunting at night. Something to think about I guess. We have four game wardens and a deputy sheriff that are members so I think we will be covered. Oh and i forgot we also have a special investigator with the state. 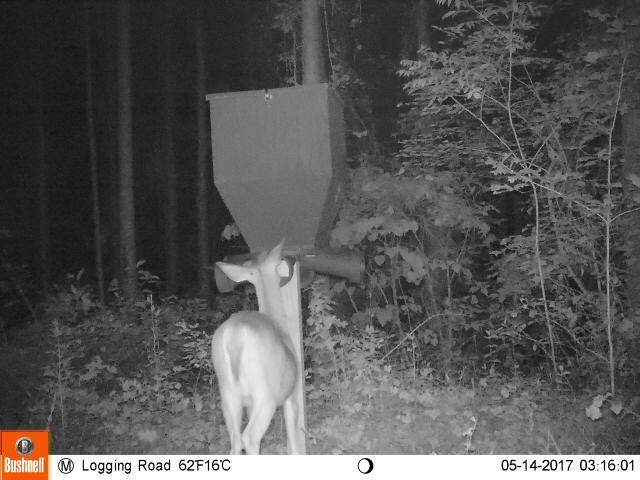 Got a cellular trail cam the other day and put it out. Got this nice sized hog and a few deer so far. 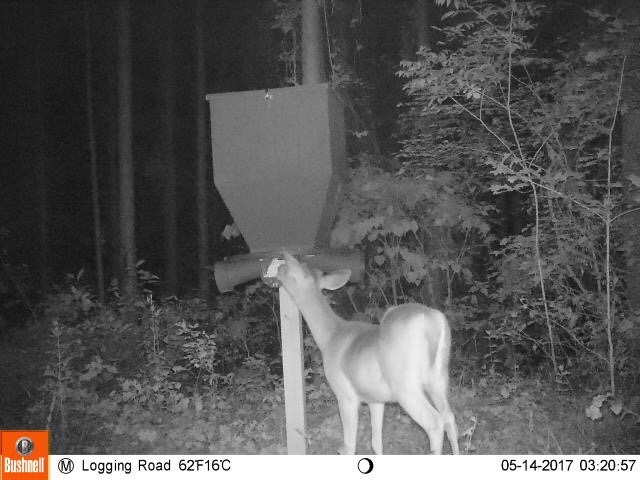 One of the bucks is starting to grow bone!! He's a young one but I'm pumped to see what else will show up. Yeah no joke. Would make me a little nervous had I not got any pics. I'll be starting on some of the work I'm having done as soon as my sons soccer season is over. They're killing me. Playing for state championship this weekend. If they win I'll be in Tulsa Oklahoma in June for regionals. I'll keep y'all posted. Probably drive y'all nuts with it I'm sure. Thanks jv, I'm hoping they win and they have a really good shot. Not to bore you but he's been playing competitive soccer since he's 5 and has never won a state championship. Played twice in the finals but lost by 1 goal each time. He's 16 now so his soccer days will be over in the next few years and I'd really like to see him win one before his soccer days are over. Just getting home from a day of soccer, my sons team is in the finals tomorrow! One more win and they win state! Kids played a heckuva game tonight. Win tomorrow and then on to regionals in Tulsa. Gotta get the win tomorrow first. Should have many more showing up soon. Feel so bad for my son and his team as they once again lost in the final game 1-0. The kids were so disappointed because they played their hearts out and literally got a bad judgement call by the ref against them with less than a minute left and it cost them a shot at the state championship. Bad calls are part of the game and the refs are human but it's disappointing to see all the kids hard work not pay off for them. Sure they'll learn from it and be better players and people for fighting through adversity but it's still disappointing. Hate to sound like I'm blaming the ref but when the ref tells the coach after the game that he made a bad call and had to stick to it because he wasn't sure it's very frustrating. Oh well at least I don't have to go to Tulsa now! Lol! 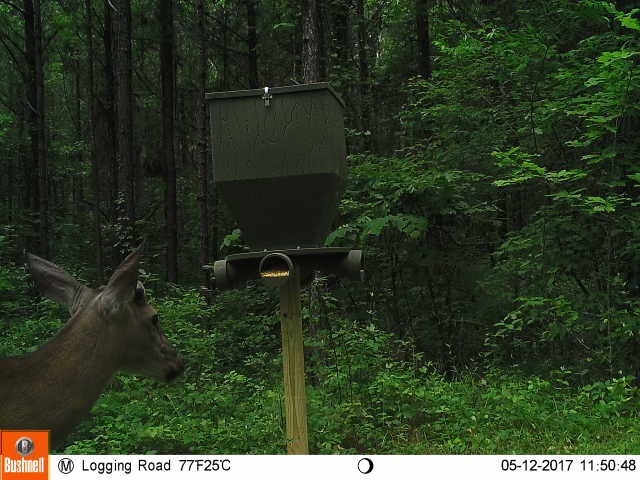 On a higher note I did get my first picture of a deer eating from my new feeder this morning. Feeders been out for exactly 2 weeks before they would eat from it directly. I am wondering if I should lower it just a couple of inches. Poor deer is stretched out trying to get the feed out. I want to make sure I keep it high enough to keep the hogs out though. Sorry for their loss. 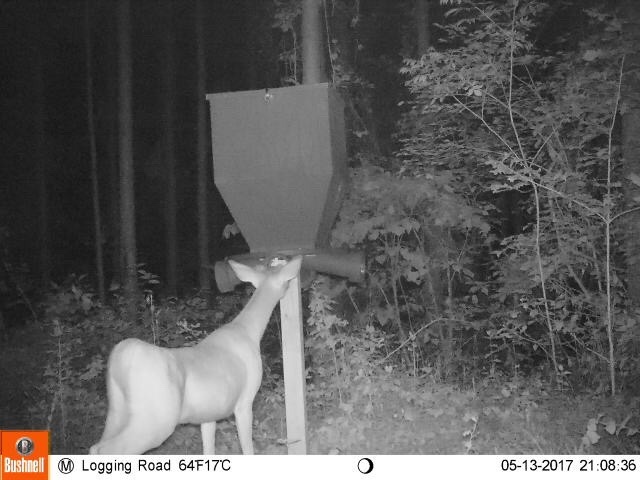 I think the feeder is fine. I have seen them stand on their hind legs to reach honeysuckle vines. Hate that they lost their game but they can hold their heads high knowing they had a great season. Great pictures at the feeded. Now that soccers over I should be able to get started on my projects. Next step is dozer work! I'll keep y'all posted as things progress. I'll probably start a new topic so this don't keep running on and on. If y'all get tired of me talking about just let me know. terry08 wrote: Sorry for their loss. 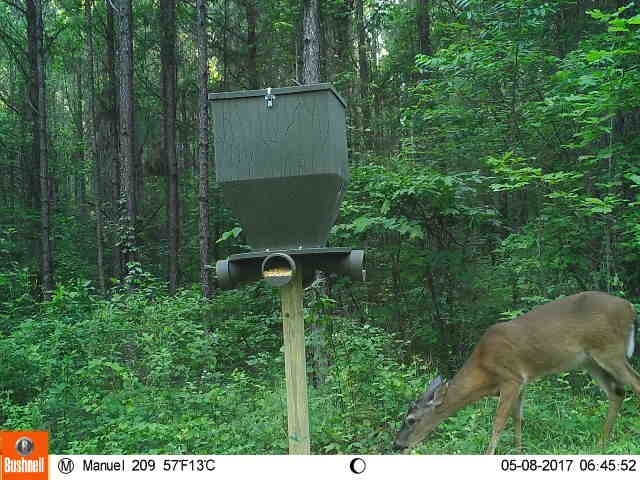 I think the feeder is fine. I have seen them stand on their hind legs to reach honeysuckle vines.